Lighthouse Ornament Address Sign - - two-sided address sign comes with a fabulous lighthouse ornament. Personalized with your one line or two line address. Made in America. 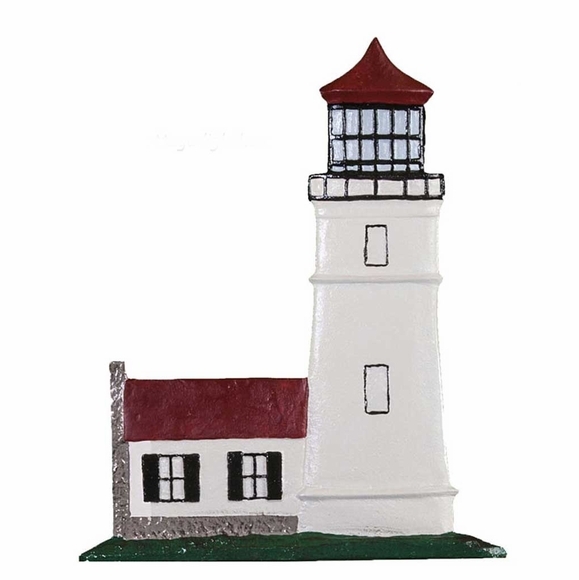 Two lighthouse models: cozy cottage and traditional Cape Cod. The lighthouse ornament is finished on both sides. Lighthouse colors: gold bronze, swedish iron, and "natural." Personalized address sign with lighthouse ornament. Lawn mount, mailbox mount, or post mount.